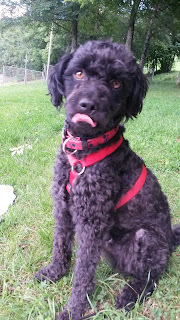 I already gave a little travel report about our summer vacation, but there's one aspect I saved for a separate post. If you've read some of my other posts you might have realized I really like signs. I've described warnings of dangerous trees in the Bavarian Forest and showed some really beautiful signs in my own town before. So now for some vacation signs. 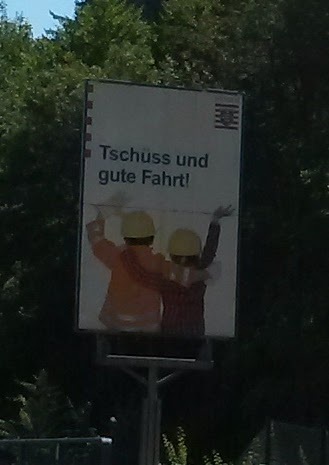 While driving through the German state of Hessen, I was tickled to see their construction signs. 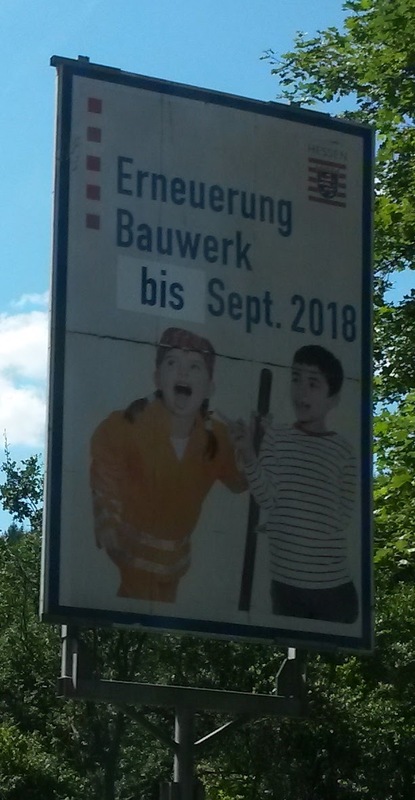 It seriously made the construction zone easier to take because I kept wondering what the next sign would look like. 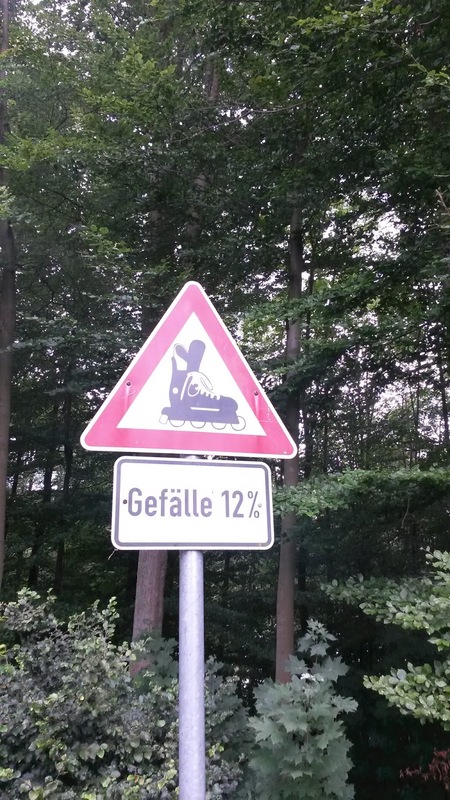 We saw this sign on the path leading down to the lake and warning of the steep slope. AKA "Beware of out-of-control inline skaters!" 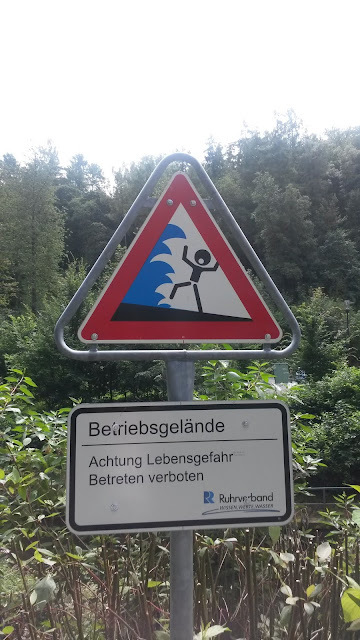 This sign is posted next to a tiny little stream, and seems to be warning about a tsunami. I mentioned in my other vacation post that our campground's swimming area had been drained to remove the muck and silt at the bottom of the lake. 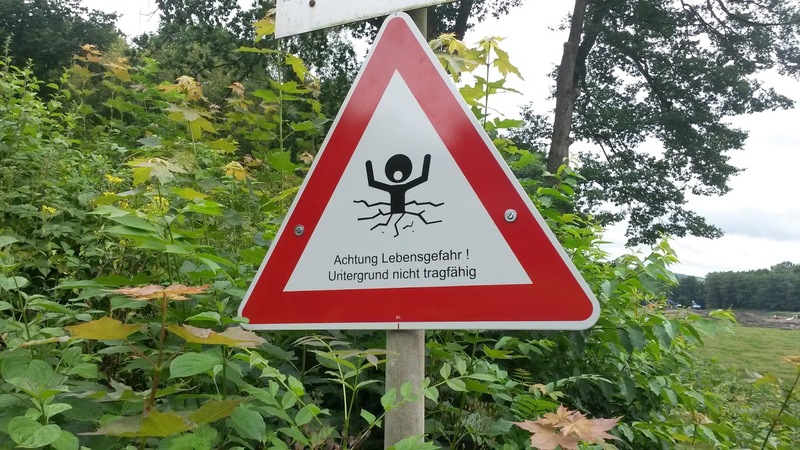 :( This sign warned us not to try to walk on the instable lakebed. A fancy chain took over this older hotel in Meschede and turned it into a swanky, expensive place to stay. You can still see the original building on the left, the new one on the right. For historic purposes, they left the original sign next to the staff driveway. Looks like the beginning of a 1950s horror movie, doesn't it? Finally, this isn't technically a sign, but it is a sign. One of the most unique things about where we vacationed was how popular it was with Dutch tourists. Our campground was located in Germany but filled with about 75% Dutch people. 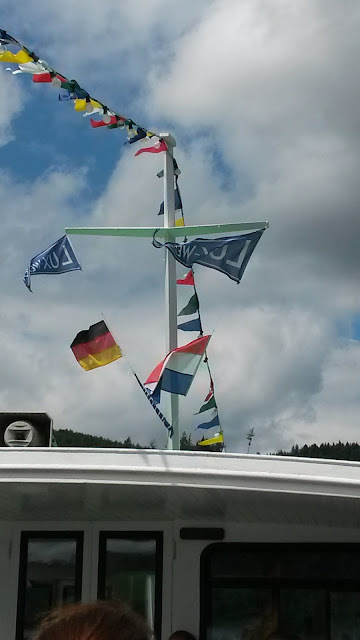 These flags were on a lake cruise we took. Notice how the Dutch flag is bigger than the German one? This signs is literally so much cool. I was thinking to make my own signage like Neon Signs. 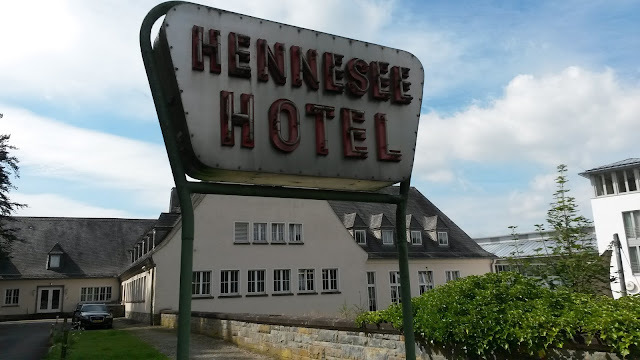 I can put text and image combine in this Neon Signs. It can be so much helpful.